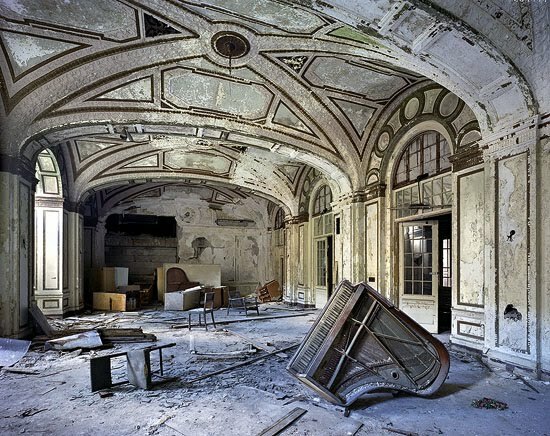 The ballroom in the Lee Plaza Hotel, Detroit, from the excellent Ruins of Detroit by Yves Marchard and Romain Meffre. Interesting article about this by Sean O'Hagan in The Observer yesterday. How long will this kind of destruction be blamed on 'poverty', 'discrimination' or so-called 'neglect'? America will NEVER fix this problem until we can discuss it openly and above all - HONESTLY.